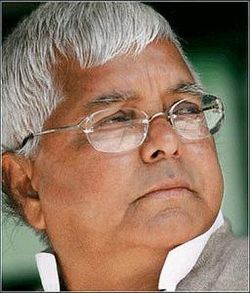 Former Railway Minister and Rashtriya Janata Dal chief Lalu Prasad Yadav on Wednesday blamed railway officials for the mishap involving the Dibrugarh-bound Rajdhani Express that left four passengers dead. “This is a clear cut case of negligence by railway officials. I want to know why the pilot engine was not run on the tracks before the Rajdhani Express was scheduled to cross the area,” added Prasad. Reacting to the possibility of sabotage by Maoists, Prasad said even in that case it was the responsibility of the Railways to ensure safety of passengers. “The Maoists had announced the blockade and given prior information. If the accident has happened due sabotage, I severely condemn it, but at the same time the Railways should have taken additional precaution to thwart any such accident,” Prasad said. Four passengers were killed and eight injured when the Delhi-Dibrugarh Rajdhani Express derailed at Golden Ganj station near Chapra on Wednesday morning.